The Australian Curriculum in these learning areas: English, Mathematics, Science, Humanities and Social Science - (Geography and History) and The Arts (Music, Visual Art, Media, Dance & Drama). 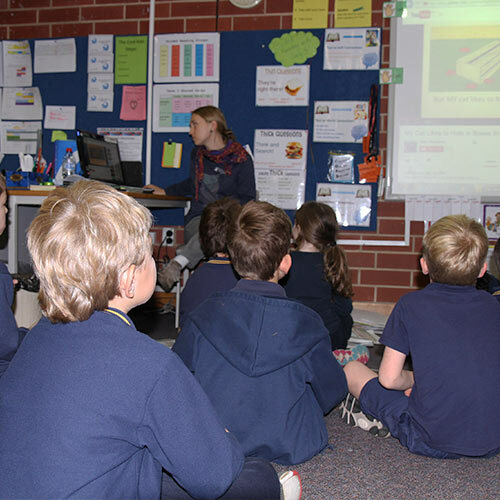 Familiarisation in the following learning areas in the scope of the Australian Curriculum: Health & Physical Education, Technologies (Design and Technologies & Digital Technologies). The Early Years Learning Framework. Higher order thinking strategies are embraced Preschool to year 7 to promote problem solving and understanding about learning at a deeper level. Information and Communication technologies are embraced across the curriculum. Every class has an interactive whiteboard. Students have access to laptops on a daily basis and all classes can access standalone computers. The use of multi-media (eg: digital cameras, Ipads) incorporated into our learning, ensures students are confident users of a range of tools to enhance their learning and methods of communicating. 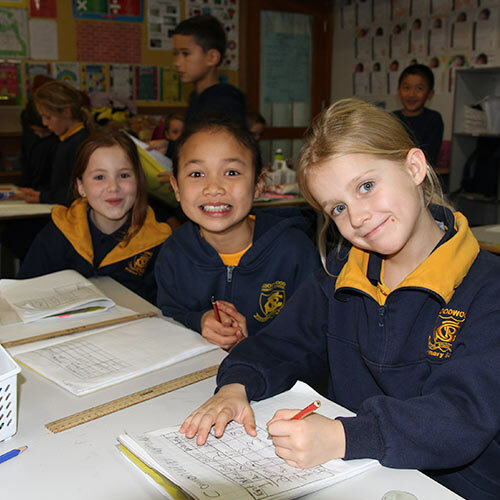 The general capabilities: Numeracy, Personal and Social Capability, Literacy, Intercultural Understanding, ICT Capability, Ethical Understanding and Creative and Critical Thinking are a key dimension of the Australian Curriculum. They are explicitly addressed in the content of the learning areas to support our children to become successful learners, confident and creative individuals, and active and informed citizens. Specialist learning opportunities are provided in Italian, Music, Health & Physical Education and Science. Students are involved in alternative extra curricula / learning opportunities to ensure they are exposed to activities that can expand their learning experiences. For example contributing to the creation of our Community Goody Patch Garden (a joint Unley Council, School and Community project) specialist CSIRO science programs, additional music opportunities and artistic performances.